Twitter chats are a great way for GT teachers to grow their Personal Learning Network and avail themselves of free professional development on a weekly basis. It’s advisable to follow along with a chat you’d like to join for a few weeks before tweeting. This way you can learn how a particular chat progresses; such as how many and when questions are asked. Do not set your Twitter account to ‘private’ if you want to join a Twitter chat. Only your followers will see your tweets. If you’re a teacher concerned about privacy, set up a separate account for chats. It’s easier than you think to participate in a Twitter chat. During your first chat, consider simply introducing yourself. AND don’t forget to add the hashtag is you aren’t using a platform that adds it for you! Virtually all gifted organizations now have a presence on Twitter. The easiest way to find them is to simply do a search on Twitter. Types of organizations include national and state organizations, homeschool organizations, specialized schools and programs, and those providing social emotional support. It’s important to understand the importance of the hashtag, its purpose and how to use it. Look for existing hashtags; they are how Twitter is indexed. Don’t make up hashtags just to emphasize a topic or idea. CAPS work for that. How can GT teachers use #gtchat to their advantage beyond simply chatting? Many teachers don’t initially realize that #gtchat is available 24/7 to connect with others in gifted education and the gifted community in general … Connect with teachers, academics, psychologists, organizations and authors. #gtchat provides a transcript on @Wakelet, a weekly blog post with a summary of the chat and resources, FB and Pinterest page, and YouTube channel. You can follow @gtchatmod for the latest news and info on the chat. GT teachers can also utilize Twitter in the classroom. For example, they can connect classrooms online via Twitter to practice Twitter etiquette, share information, and to learn about other cultures in the global community. It’s also a great way to practice a foreign language and to conduct research. Teachers and students can engage with other classrooms to work collaboratively on projects, have a book study, host an author, connect with experts, host a Twitter chat, or seek out feedback on written assignments. A transcript of this chat can be found at Wakelet. After checking out the transcript, you can see more resources from the chat below. From time to time, I am asked, “How do I join your chat on Twitter?” Since we were off last week, I thought this would be a good time to explain the chat process. Each Friday at 7E/6C/5M/4P, people get together on Twitter to chat about all things related to the gifted community using the hashtag #gtchat. To join the conversation, you need to have a Twitter account and it cannot be designated as ‘private’. If you feel the need to protect your tweets (only followers can see what you tweet), consider opening a second account under a pseudonym just to chat. You can participate in a chat directly on Twitter by searching the hashtag #gtchat and then choosing the ‘Live’ tab on the search results page. You may want to Save your search to use for future reference. 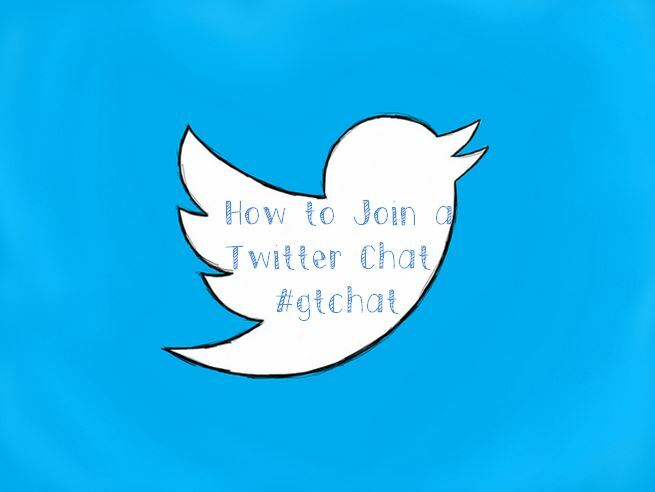 (Hint: Follow #gtchat’s official Twitter account @gtchatmod to see tweets concerning chat times and topics.) It is important to know that you must remember to add the hashtag #gtchat to each of your tweets so that they will be visible to the rest of the people at the chat. As the chat progresses, you will have to Refresh your screen to see available new tweets. Prior to our last chat, we welcomed a new sponsor for #gtchat, GiftedandTalented.com. You can read more about this new partnership at the TAGT website here. Global #gtchat Powered by the Texas Association for the Gifted and Talented and sponsored by GiftedandTalented.com is a weekly chat on Twitter. Join us Fridays at 7E/6C/5M/4P in the U.S., Midnight in the UK and Saturdays 11 AM NZST/9 AM AEST to discuss current topics in the gifted community and meet experts in the field. Transcripts of our weekly chats can be found at Storify. Our Facebook Page provides information on the chat and news & information regarding the gifted community. Also, checkout our new Pinterest Page and Playlist on YouTube. How Do You Participate in t Twitter Chat? Twitter Chats: How to Survive and Thrive in a Twitter Chat … Hockey Style Eh? This chat celebrated the 1 year anniversary of #gtchat being powered by the Texas Association for the Gifted and Talented. The moderator and participants expressed their thanks to Executive Director, JJ Colburn; Past-President, Dr. Lynette Breedlove; Mrs. Deborah Mersino, Founder and First Moderator of gtchat; Assistant Executive Director, Tracy Weinberg and the fabulous staff at TAGT. Nearly 60 active participants tweeted more than 500 tweets during the hour and came from 4 countries and 20 states. The week leading up to chat included over 1,000 tweets from over 200 contributors reaching over 220,000 follows with 1.86 million timeline deliveries! The occasion was marked by the introduction of TAGT’s #gtchat Advisory Board who provide support and advice to the moderator on a weekly basis. They are Mrs. Angie French (@teachagiftedkid), GT specialist at Tomball ISD near Houston, TX; Mrs. Stacia Taylor (@TXProfoundlyPG), founder of Texas Parents for the Profoundly Gifted, member of the Board of Directors at Rainard School, and member of the NAGC’s Parent Committee; Mrs. Nicole Shannon (@LonghornNic), coordinator of Gifted & Advanced Academic Services at Round Rock ISD; Mr. Ian Byrd (@ByrdseedGifted), gifted education writer and founder of Byrdseed Gifted; and Dr. Brian Housand (@brianbousand), Assistant Professor at East Carolina University and member of the Board of Directors at the NAGC. Special thanks also to past advisors, Mrs. Tracy Fisher, Mrs. Michelle Swain and Dr. Jan Fall. Questions during the chat revolved around the importance of Twitter chats and how they can make a difference in the lives of both parents and educators of the gifted. Near the end, participants offered suggestions about the format and future of the chat which provided much needed insight to the moderator. A full transcript of the chat may be found here. It was announced that #gtchat will be having a LIVE chat from the 2013 Pennsylvania Association for Gifted Education’s Annual Conference on Friday, April 19th at a special time 3PM EDT. Moderator, Lisa Conrad, will be available during Thursday night sessions and during the day on Friday to assist attendees in signing up for Twitter. Lisa will also be tweeting live from the conference. Twitter Chats: How to Survive & Thrive in a Twitter Chat… Hockey Style Eh? Should I Participate in Twitter Chats?